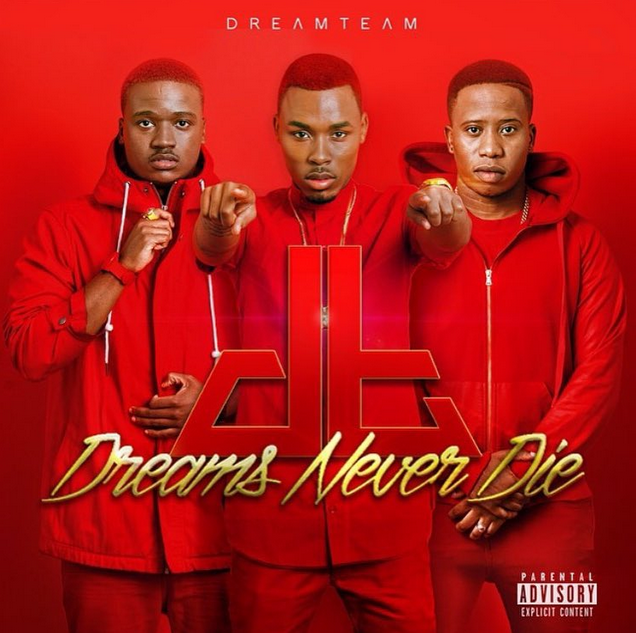 After the release of their SA Hip Hop Award winning mixtape over 2 years ago, Dreamteam has released their debut album titled Dreams Never Die. The 18 track album has features from artists like the Supa Mega himself AKA, Ice Prince and Donald to name a few from the collabo’s. Tweezy, Abdul and who HYPE titles as the hardest working man in music Anatii have produced joints on this album. Dreams Never Die has separate interludes which each tell the story of their own hardships, Trevor’s mother passing away and being a father who is always on the road, Saso and Dash choosing between school and chasing the dream. Think the album is dope?